This article is all about setting up Google 2 Factor Authentication which enhances security for your crypto currency exchange accounts. Here we’ll see what is 2FA and why it’s important? 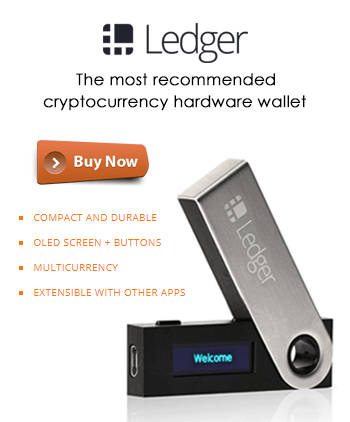 In each and every wallet setup guide we recommend our users not to use online wallets. 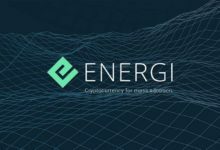 Also we advise them not to store large amount of funds in crypto currency exchanges and trading websites. 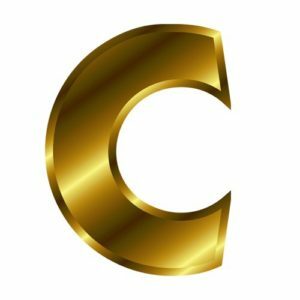 If you are into crypto frenzy for a long time then you might have heard several hack stories. The second biggest breach of a Bitcoin exchange platform, Bitfinex lost Bitcoins worth $72 million on August 2016. 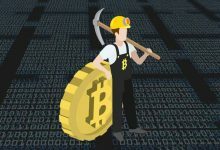 NiceHash, a crypto mining marketplace got hacked Bitcoins worth $60 million. Recently a crypto currency exchange BitGrail claims to lost $170 million to its hackers. If you want a in depth article on crypto currency hacks then check this article. 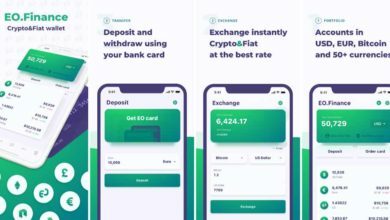 So how to keep your crypto currencies safe? There are several rules to protect yourself from hack and keep your Bitcoins safe. Rule no 1: Never use online wallets, even if you use make sure to check the url before you login (eg: https://www.myetherwallet.com/). 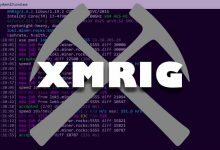 Rule No 2: Use Hardware wallet if not keep your wallet files in cold storage at least. Rule no 3: Only store coins in exchanges only when you wish to trade and never keep a large amount of funds in exchanges. Rule no 4: Add additional security like Google Authenticator or Email Verification. 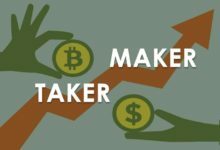 Google Two Factor Authenticator is your best friend when it comes to dealing with crypto currency exchanges. Let’s see what is 2 factor authentication and how to setup Google 2FA. 2FA stands for 2 Factor Authentication. 2FA is a method of adding extra layer of security to your online accounts. It’s a must that you add 2FA to your crypto exchange accounts which prevents your account from getting hacked? Wondering how? Most people use passwords as the only verification protocol to their online accounts. If the password which they set is strong enough then there is less chance of getting hacked. However this is not the case with most users. Since many of us tend to forget passwords we set passwords which are easy to remember. Unfortunately such passwords becomes easy for the hackers to crack. To overcome this situation it is recommended that you add 2FA. Usually you just enter your username and password to login to your accounts. By enabling 2FA you’ll be asked for an additional security key each time you login. It can either be one time password (OTP) or email verification or SMS authentication. By adding this additional layer of verification you are greatly improving your account security. 2FA can only be setup on your mobile device (Android or IOS). Two of the most commonly used 2FA services are Google Authenticator and Authy. 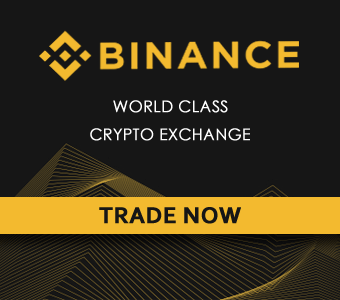 Most popular exchanges like Binance, Bitrex, Coin Exchange, Kraken, Kucoin, HitBTC, Gate.io and Cryptopia recommends Google Authenticator. Few exchanges accepts Authy and few exchanges have their own 2FA service. This is very significant for online security hence which ever exchange or trading sites you are on make sure to enable 2 factor authenticator. 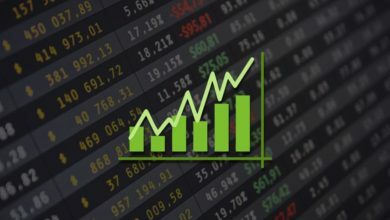 Setting 2FA is very simple and most popular crypto exchanges will guide you through the steps when you create a new account. It just takes few minutes to setup and this is how it goes. You download the 2FA application to your mobile. Verify the ownership and link authenticator with your exchange account. That’s it. Now to complete the login process each time you’ll be asked to enter the 2FA Pin or OTP which your smart phone app generates. Even if the exchange or trading website doesn’t show you the 2FA setup during registration you can always find it in your account security settings. 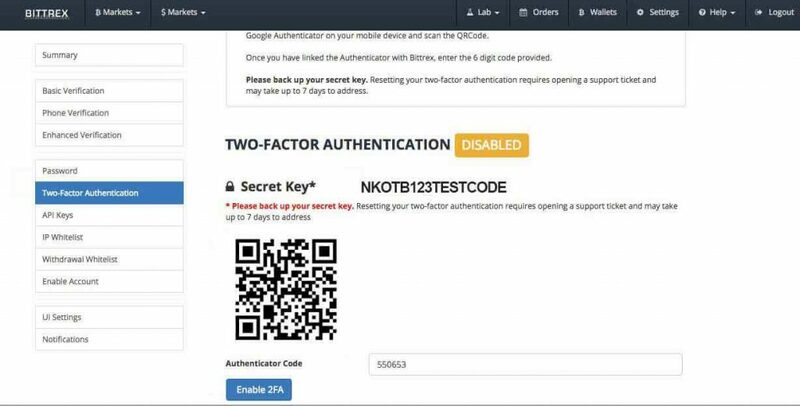 Here by taking Binance as an example we’ll guide you through setting up 2FA using Google Authenticator app. 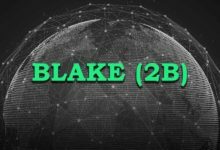 Most exchanges will have similar pattern to setup 2FA and soon we’ll cover a detailed guide on setting up 2FA for each and every exchange. 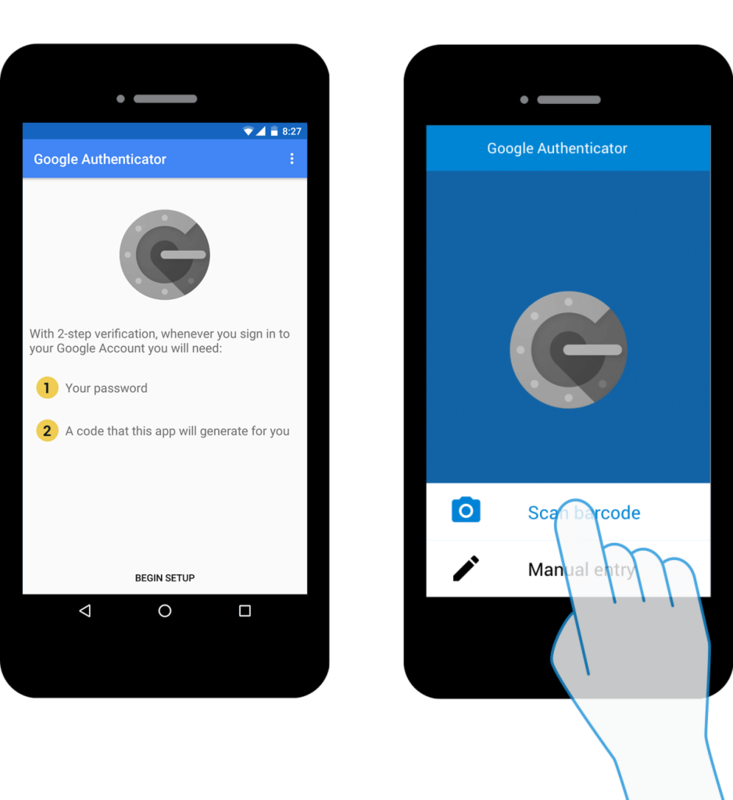 Google Authenticator is a software that implements two-step verification services using the TOTP ( Time-based One-time Password Algorithm ) and HMAC-based One-time Password Algorithm, for authenticating users of mobile applications by Google. Google Authenticator generates a six to eight-digit one time password every few seconds. Users who enabled 2 step verification have to enter the generated code along with their username and password in order to log into Google services. This software is not just for Google services, it can also be implemented on third party websites and applications. Google Authenticator is Free, fast and one of the most reliable service. Its available for both android users (Google Play) as well as IOS users (App store). Step 1: First download the Google Authenticator application to your mobile or tablet and install it. 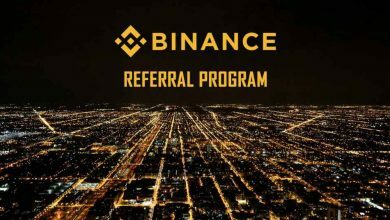 Step 2: Now got to Binance.com and create a new account or login using your existing account. If you create a new account you’ll be asked for email verification. 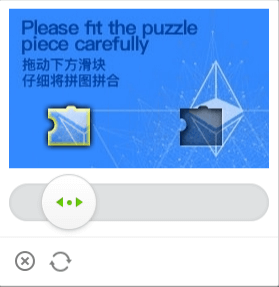 Step 3: Once you login the website will ask you to solve the quick puzzle to make sure you are human and not a bot. Step 4: Now once you are in dashboard click on user icon which you see at the top right corner. Then click on account which will take you to your account settings page. 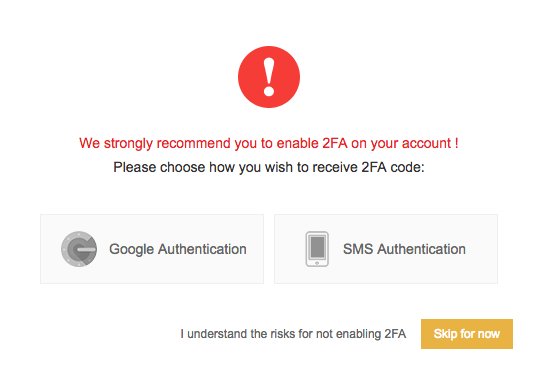 Step 5: If you have not enabled 2FA for your Binance account then you’ll see an alert message recommending you to enable 2FA. As you can see there are 2 types of verification Binance is offering. SMS verification and Google Authenticator verification. Step 6: Choose Google Authenticator as it is more secure and click on enable. Now Binance will guide you through step by step instructions on setting up Google Authenticator for your account. 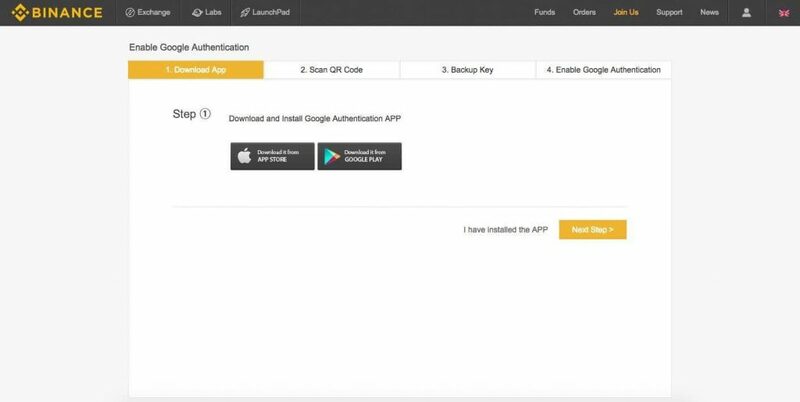 Step 7: As you can see step 1 is to download and install the Google Authenticator application which we hope you already done. Step 8: Now on next screen you’ll be asked to scan the barcode using your Google authenticator application. You can either scan the code or enter the code manually to your mobile. Step 9: Upon scanning your Google authenticator application will add your Binance account to the list. Step 10: That’s it! You’ve done setting up Google 2 factor authenticator for your Binance account. The 6 digit code which you see in your Google Authenticator application will be generated every single minute. 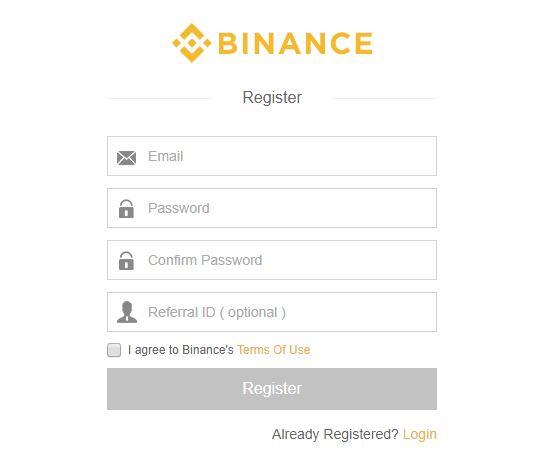 Now whenever you login to your Binance account using your email and password you’ll be asked to enter this key. Only if the key matches it will let you in. Step 11: IMPORTANT – On step number 3 of Binance Google Authenticator setup you’ll be asked to take a backup of your Google Auth key. It is very important that you note down this key in a paper or save it in a cold storage. It can happen at times. Note that once you enable 2FA you’ll not be able to login to your account without knowing the authenticator codes. This is why it is very important to store the private keys. Almost all exchanges will provide you with this key when you first setup Google Authenticator or any other 2FA. This private key is very important as it helps you to recover your account when your phone is stolen or lost. 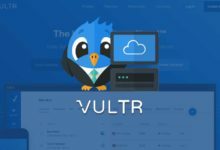 What happens if I didn’t backup the private keys of 2FA? The worst case scenario is you’ll not be able to access your account anymore and end up losing all your funds that you stored in your account. 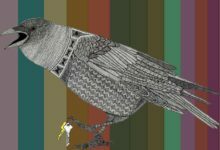 The least which you can try is to raise a ticked to the support team regarding this issue. They will guide you in recovering your account which is not so easy and will take a lot of time. Always play safe. Enable 2FA and make sure to take backups. We hope you now realized that enabling 2FA is a must for your online security. If you found this helpful please do share it. Also do share your thoughts and ideas on how you protecting your online accounts especially trading and exchange accounts.